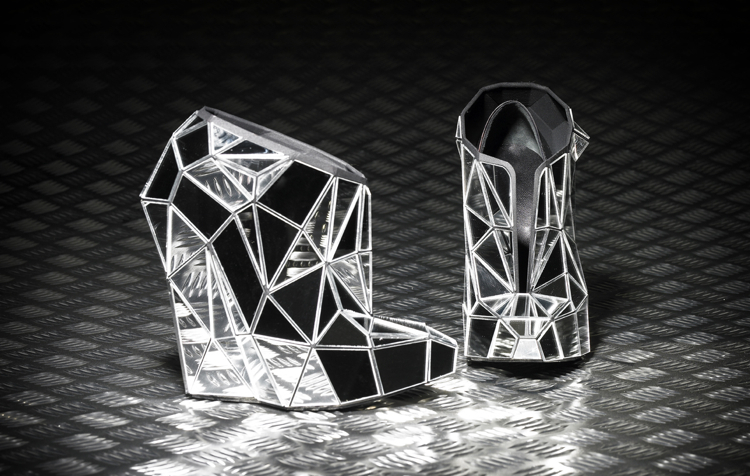 Whatever you do in these weird, wild, “Lady Robot dancing with Tony Manero” platform booties, you’ll feel très fashion forward. That’s because they come right out of a printer. 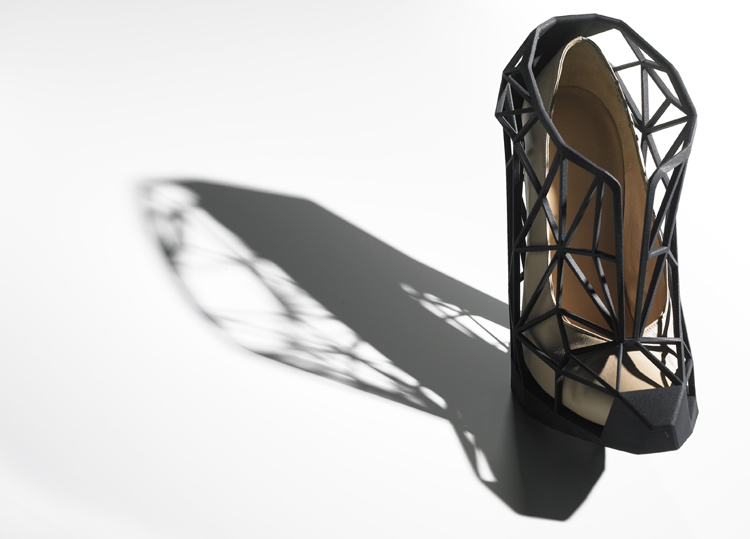 Designed by Brazil-born Andreia Chaves and introduced at Mercedes-Benz Fashion Week earlier this month, the Invisible Shoes are a feet — sorry, feat! — of cutting-edge technology, their flashy good looks only possible as a result of rapid-prototyping. The Invisible Shoes series is a limited-edition run. Contact Chaves for availability and pricing.